I love any type of fish tacos, one of my favorites being Fish Tacos With Watermelon Salsa. The combination of the spicy fish and the sweet, juicy fruit works so well together. 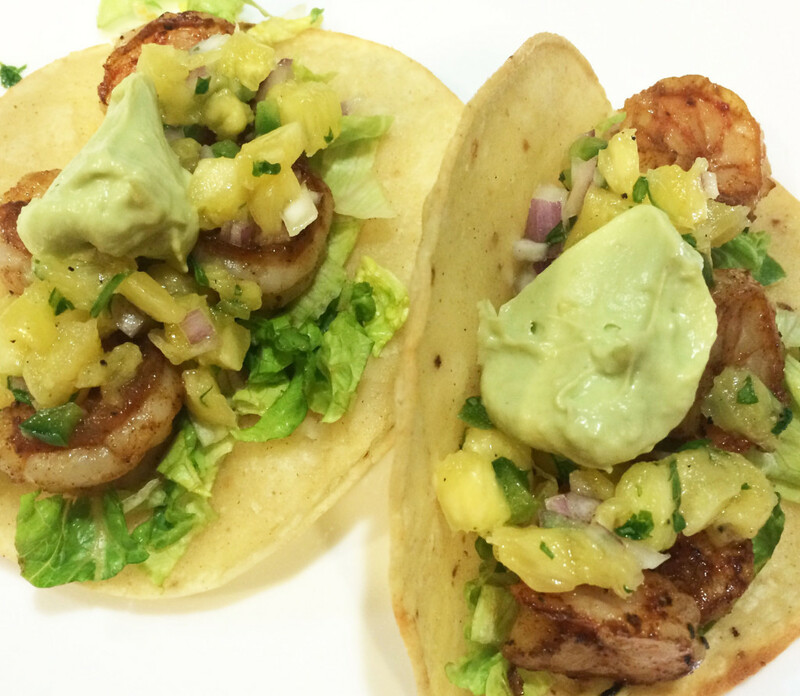 So I adapted that recipe to use shrimp and pineapple and whipped up some avocado cream to top the tacos. They were so light and full of flavor! This recipe will definitely be a summertime staple. In a bowl, combine all of the ingredients for the salsa. Cover and refrigerate. In a food processor, combine the ingredients for the avocado cream. Pulse until smooth. Transfer to a bowl, and cover and refrigerate. In a large bowl, add the shrimp. Toss with the olive oil and seasoning blend. Heat a large nonstick skillet over medium-high heat. Add the shrimp and cook until firm and no longer translucent, about 3-4 minutes. To serve, warm the tortillas in the microwave, the oven, or a skillet. Add some chopped lettuce and about 4 shrimp to each tortilla, and top with salsa and avocado cream. This recipe came from an unlikely source, and it far exceeded my expectations. It’s now my go-to salmon recipe. Plus, the glaze is delicious on chicken and shrimp, too. Add sesame seeds to a dry nonstick skillet over medium-high heat for 3-5 minutes until golden brown, stirring occasional. Remove from heat, and set aside. In a bowl, whisk together the honey, soy sauce, onion, garlic, ginger, red pepper flakes, and sesame seeds. Place salmon in a 13x9-inch baking dish. 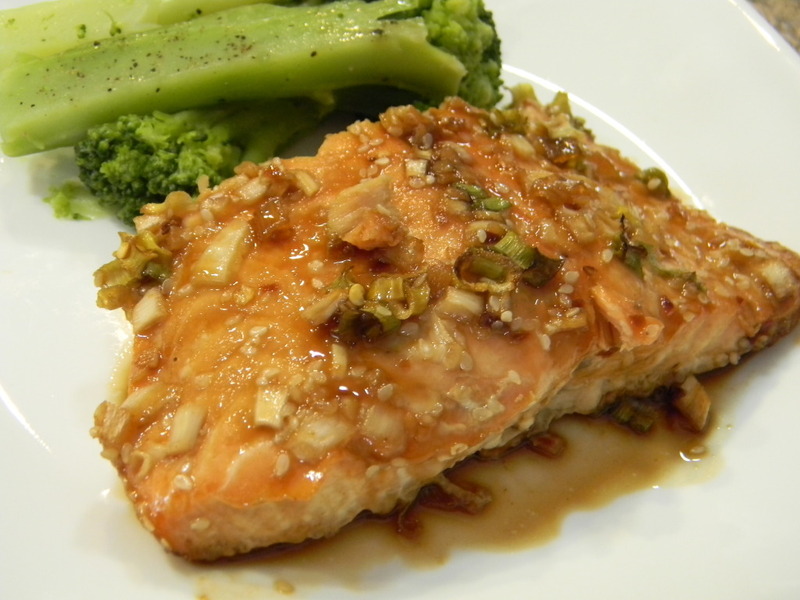 Spoon honey mixture over salmon. Roast salmon for 20 minutes, basting occasional with the glaze. Tuna noodle casserole takes me back to my childhood. It was — and still is — one of my favorite meals my grandmother makes, and eating it reminds me of Saturdays at my grandparents’ house sitting at the kitchen table with my Gram and Pop and devouring a huge plate of tuna noodle casserole for lunch (usually followed by whatever delicious homemade dessert my Gram had made that day). 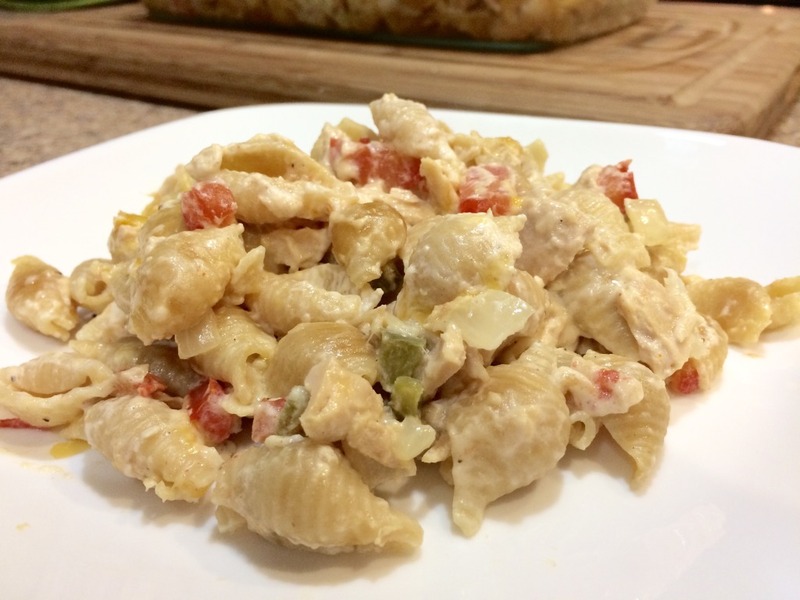 The recipe is a favorite in my house, and I make it regularly, but I’ve lightened up the original recipe by using whole wheat pasta, substituting plain Greek yogurt for some of the mayo, and adding Old Bay seasoning to give it a kick of flavor. Bring a large pot of salted water to a boil, and cook pasta according to package directions. Drain and pour pasta back into pot. Set aside. In the meantime, heat the olive oil over medium-high heat in a nonstick skillet. Add diced onion and peppers, and sauté until soft, about 5-7 minutes. Add garlic, and sauté for about 1 minute, until fragrant. Remove pan from heat. Stir into the skillet, the diced tomatoes, tuna, and Old Bay, and season with salt and pepper. In a bowl, whisk together the plain Greek yogurt, mayo, milk, lemon juice, 1 teaspoon of salt, and 1/2 teaspoon of black pepper. Into the large pot with the drained pasta, add the tuna and vegetable mixture and sauce. Stir gently together. Pour into a greased 9x13 inch baking dish. Cover with foil, and bake for 25 minutes. Remove foil, top with cheese and bake for an additional 5 minutes until the cheese is melted.